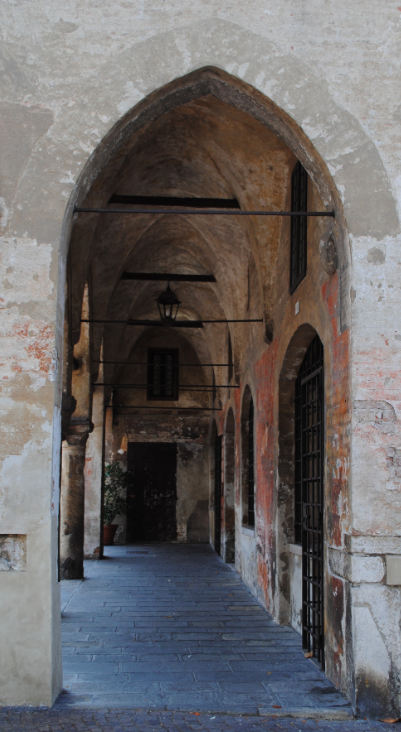 In the Piazza del Duomo (Cathedral Square) is Casa Dal Corno – Home from the Horn. 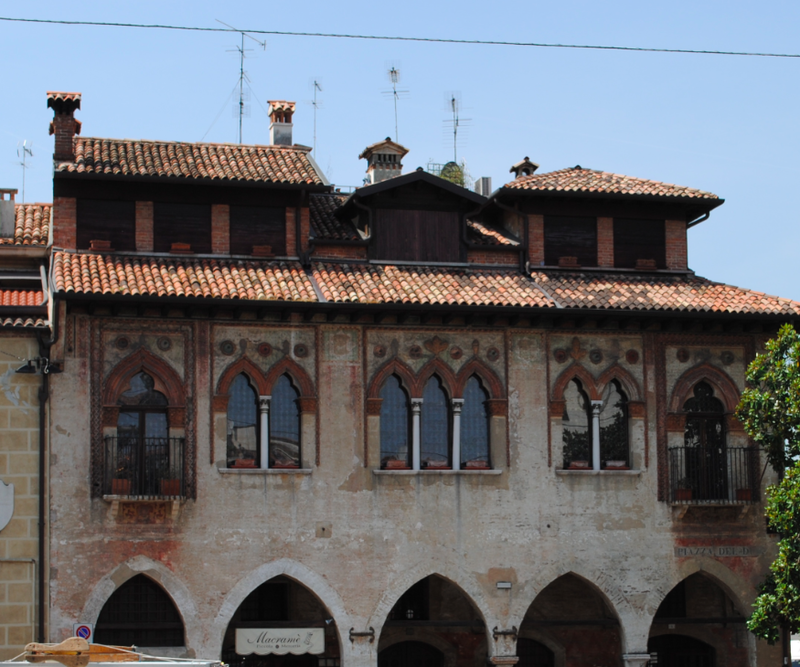 Built in the 15th century, the Venetian Gothic building features windows with trilobate arches and has a five arch loggia. 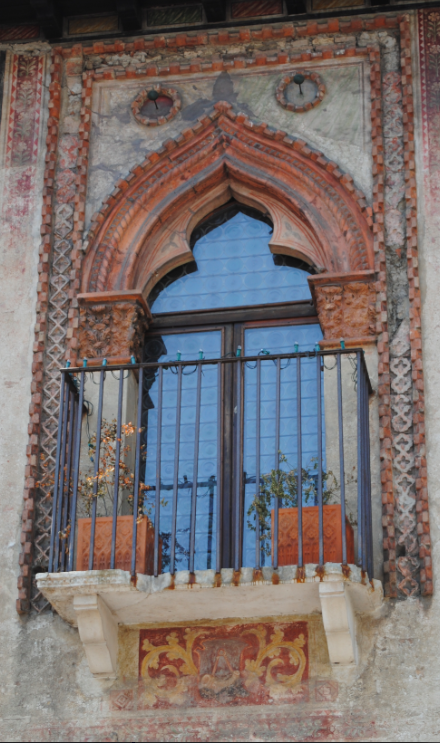 Ceramic decoration adorns the window surrounds which have engaged corinthian pilasters. Fragments of the 15th century frescoes still remain on the facade. I came across your blog and have been delighted to be able to examine these marvelous antiquities – and thank you so much for providing the information about them, also!